The Court of Justice of the European Union’s (CJEU) judgment in Slovak Republic v. Achmea B.V. (Achmea) on arbitration under intra-EU BITs has been broadly discussed (on this blog, see e.g. here, here, here, here, here, here and here). Nine months after the Court’s ruling, some tribunals have had the opportunity to react. Food for thought and a strikingly straightforward solution comes especially by way of a detailed 72-page procedural decision confirming jurisdiction in the ICSID arbitration between Swedish power company Vattenfall and Germany regarding claims under the multilateral Energy Charter Treaty (ECT) following the state’s phaseout of nuclear power in the wake of the Fukushima disaster (ICSID Case No. ARB/12/12). 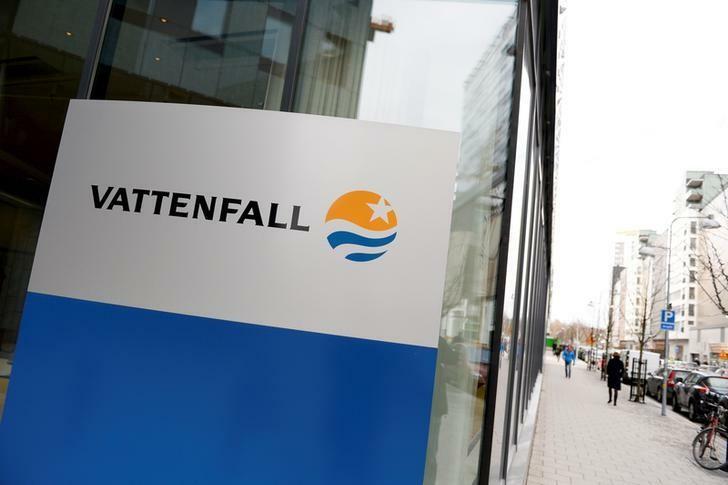 The Vattenfall-tribunal’s rejection of Germany’s Achmea-based jurisdictional objection warrants closer analysis: First, Achmea’s reach to ECT-based claims has been hotly debated, not least because of the practical significance and number of pending ECT-claims. The European Commission recently communicated in unequivocal terms that it sees intra-EU ECT-claims as barred by Achmea. Second, the tribunal delves deep into the complex and arguably uneasy relationship between EU law and investment treaties as part of public international law. Various Achmea-based jurisdictional objections have found different treatment by tribunals. In Masdar Solar v Spain (ICSID Case No. ARB/14/1), the tribunal denied Spain’s request to reopen the arbitration following Achmea, briefly addressing the issue and concluding that the “Achmea Judgment is simply silent on the subject of the ECT.” An ICSID tribunal in Gavrilovic v Republic of Croatia (ICSID Case No. ARB/12/39) under the Austria-Croatia BIT dismissed Croatia’s intra-EU objection after Achmea for being late and refrained from an ex officio review of the issue. In contrast, the Vattenfall-tribunal found Germany’s objection – not raised prior to Achmea – to be timely. The “very existence” of the CJEU’s judgment amounted to a new fact that was previously unknown to Germany in terms of ICSID Rule 41(1). The tribunal further highlights its ex officio authority to consider jurisdictional issues under the ICSID Rules, remarking that it would have seen fit to consider the intra-EU issue, even if Germany had not raised the objection. Recently, a tribunal in UP and C.D Holding Internationale v. Hungary (ICSID Case No. ARB/13/35) under the France-Hungary BIT rejected Achmea-based objections on grounds similar, yet not identical, to those relied on by the Vattenfall-tribunal: Hungary could not, says that tribunal, rely on EU law and Achmea to escape its public international law obligations under the ICSID Convention (not the BIT). In conclusion: Tribunals have unanimously remained unimpressed by Achmea, while the underlying reasons to uphold jurisdiction are manifold. The Vattenfall tribunal identifies the dispute resolution provision of the ECT, Article 26, as the starting point for its jurisdictional analysis, and queries whether EU law has consequences for the meaning of that provision when interpreted in accordance with the principles of international law. While the tribunal acknowledges that the EU Treaties and the CJEU’s judgments interpreting them form part of international law, it does not accept EU law as means to interpret Article 26 ECT. In the tribunal’s view, there is no room within Article 31 of the Vienna Convention on the Law of Treaties (VCLT) to draw from EU Treaties (and thus indirectly from Achmea) to interpret another treaty, the ECT. It concludes that EU law does not constitute “principles of international law which may be used to derive meaning from Article 26 ECT, since [EU law] is not general law applicable as such to the interpretation and application of the arbitration clause in another treaty such as the ECT”. The Vattenfall tribunal is concerned about potentially different interpretations of the same ECT provision if EU law was used for interpreting the multilateral treaty. This would result in an “incoherent and anomalous result” that would be inconsistent with the object and purpose of the ECT. Instead, “pacta sunt servanda and good faith require that the terms of that treaty have a single consistent meaning”. Article 31(3)(c) VCLT, which states that any relevant rules of international law applicable in the relations between the parties should be taken into account when interpreting a treaty, could not be relied upon to “rewrite the treaty being interpreted, or to substitute a plain reading of a treaty provision with other rules of international law, external to the treaty being interpreted, which would contradict the ordinary meaning of its terms”. The arbitrators notably accentuate Article 16 ECT, which states that no provisions concerning the subject matter of Part III or V of the ECT in prior or subsequent international agreements between two or more parties to the ECT shall be construed to derogate from i.a. Article 26 ECT, where the provision in the ECT is more favourable to the investor or investment. If EU law were to prohibit arbitration, says the tribunal, it would concern the same subject matter as Article 26 ECT, the latter allowing for arbitration and thus being “more favourable to the Investor” in terms of Article 16 ECT. Article 16 ECT would thus require Article 26 ECT to prevail. Article 16 ECT is identified by the arbitrators as “a simpler and clearer route to the answer to the jurisdictional challenge” than other reasons provided. Similarly, but slightly less prominently, the tribunal in Masdar Solar v Spain also relied on Article 16 ECT (cf. para. 332 of the Masdar award). Additionally, the tribunal emphasises that it sees a critical role with drafters to define the scope of the obligations established by the investment treaty. In case of the ECT, there was ample opportunity to carve out intra-EU claims, since it “would have been a simple matter to draft the ECT so that Article 26 does not apply to disputes between an Investor of one EU Member State and another EU Member State as respondents. That was not done”. Reading the CJEU’s judgment side-by-side with the Vattenfall decision puts the spotlight on the starkly different perspectives from which the EU institutions and international arbitral tribunals look at the issue. The CJEU’s principal task is to interpret and ensure the primacy of EU law, whereas arbitral tribunals are obliged to put into effect the mutual obligations of states under their respective investment treaties. These distinct viewpoints necessarily shape reasoning and methodology of the different actors: The CJEU relies on principles of EU law, whereas arbitral tribunals base their decisions on public international law. For intra-EU ISDS, this has resulted in norm conflicts that are now paid for by states and investors alike. The issue remains in flux: In the context of an action to annul an ECT award at the Svea Court of Appeal (SCC Case No. 063/2016, Novenergia v Spain), Spain has asked the Swedish court to seek a preliminary ruling on the ECT’s compatibility with EU law from the CJEU. Such decision would bring clarity with respect to the CJEU’s position on the multilateral treaty. In parallel, on the other side of the Atlantic, the US District Court of the District of Columbia is called to decide on Spain’s motion resisting enforcement of the Novenergia award based on Achmea. Beyond a “thumbs up” or “thumbs down” for the ECT, one may curiously expect a ruling on the public international law implications of the overlap between EU law and (other) public international law when it comes to intra-EU investment protection.